Yes, you can easily make edits to several products at once. To do this, you will want to locate the "Global Updates" area in your store admin, under the "Advanced" heading. In the global updates area, you can make changes to many products at one time, thus saving time. Note that global updates change many products at once, and it is easy to make changes you don`t want. Be sure to back up your database before proceeding. 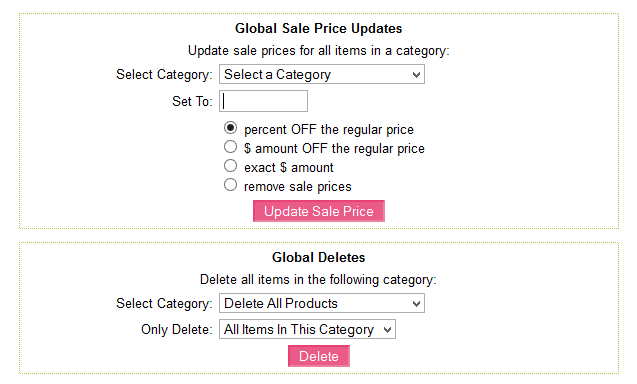 Globals updates will allow you to make mass changes to several products at a time, so please use caution when making global changes. Be sure to run a complete website backup before making any changes to your website.